Eisuke Yamate is a member of rock group "Rock Head," which he formed with friends 15 years ago. His mother is a chef who specializes in French cuisine. Eisuke was also born with a natural talent for cooking and until the age of 13, dreamed of becoming a French chef. Eisuke even learned to speak French and practiced cooking different dishes. At the age of 13, Eisuke heard rock music for the first time and felt an immediate connection with the music. 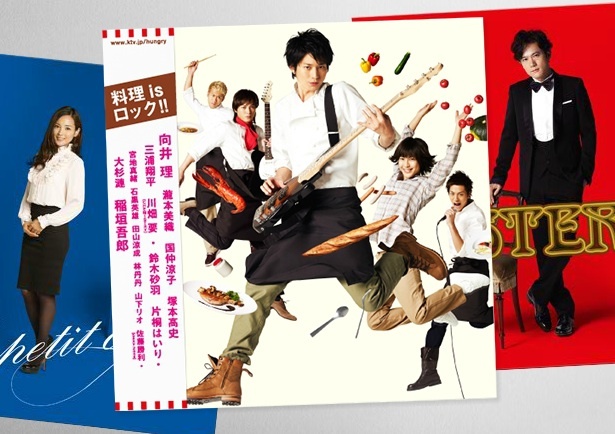 Soon afterwards, Eisuke dreamed of becoming of a rock star, while forgetting about his culinary dreams. By the age of 29, Eisuke's band "Rock Head" still hasn't achieved very much success. The band's lead singer then quits the group. The other two members of "Rock Head" start talking about pursuing other lines of work. The group attempts to make a pact that if they are still not recognized by the age of 30 they will quit for good. Even before that pact can go into place, the band decides to breakup that day. Later that same evening, Eisuke goes to his mother's French restaurant "Le Petit Chou." A man named Tokio Aso (Goro Inagaki) tells Eisuke's mom that he could renovate the restaurant to make her more money, but Eisuke's mom turns his offer down. 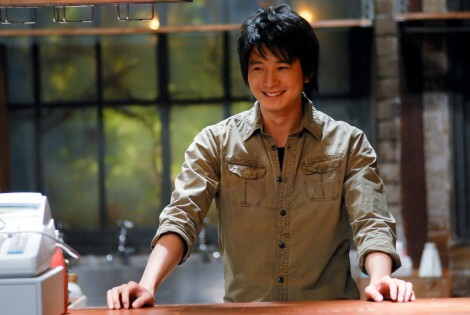 When Eisuke arrives, he tells his mother that he now wants to work as an assistant chef at her restaurant. Eisuke's mother encourages him to do what will make him happy. While they are having their discussion, Eisuke's mother suddenly collapses and dies. After his mother's funeral, Eisuke tells his father that he will work at "Le Petit Chou" as its chef. His father informs Eisuke that he already sold the restaurant to Tokio Aso after he promised to keep the restaurant exactly like it is. When Eisuke and his father walk over to "La Petit Chou" they start to hear loud sounds coming from the direction of the restaurant. They run over to the restaurant and discover that is being demolished. Eisuke and his father confronts Tokio Aso about his promise, but Tokio Aso just ignores them. Eisuke then decides to open a restaurant at a warehouse with the same name as his mom's place. Eisuke brings over the two former members of his band "Rock Head" and they prepare for the grand opening of "La Petit Chou," which will have its opening on the same day as rival French restaurant "Gasterea." hungerstrikes Nov 18 2014 9:59 am I'm having fun watching this drama right now :)) thumbs up!! MAS Dec 04 2013 8:37 pm what was that japanese song inserted in this drama? i really love that song :) Osamu mukai really act so well. he really suits in his role here. Ledhicks Feb 15 2012 9:13 am I always saw this drama in CM. all I'm interested w/ it bec. Mukai is here. good acting but sometimes japanese dramas is becoming too cheesy esp when it comes to lovestory etc. Khairee23 Feb 01 2012 7:52 pm this drama is damn good....highly recommend to watch! !